Happy Wednesday Everyone! 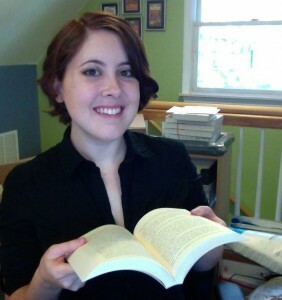 Today I’m thrilled to have agent Beth Campbell here for my first agent spotlight interview. Beth is an assistant literary agent at BookEnds, LLC. FYI, I’m taking over the agent spotlights from Casey at least temporarily. I will be providing all the same information we’ve shared in the past in an interview format. In addition, one lucky commenter will win a query critique from the agent being interviewed. Hi Beth! Thanks so much for joining us. My path to becoming an agent was really rather straightforward—though not without a dash of good timing. When I was in college I knew I wanted to work in publishing but I didn’t know what branch I was most interested in. When I started looking at internships, I applied around the board, and BookEnds was the first company to call back and offer me a position. I interned there for a summer and loved it—it was my favorite publishing internship of several more to come. Fast-forward a couple of years (less than two months after my graduation! ), and I got an email from Jessica Faust asking if I wanted to interview for an assistant opening with the company. An interview and editorial test later, and I had the job. That was over three years ago. I only became “Assistant Literary Agent” instead of “Literary Assistant” a little over six months ago, but I’ve been agenting my own projects for over two years. As for what I do: going to conferences, judging contests, and reading reading reading. My colleague Moe Ferrara and I are most noticeably working to grow BookEnds’ showing in Sci-fi, Fantasy, and YA genres. BookEnds was founded by Jessica Faust in 1999, and our agents have over 50 years of publishing experience combined. As sentimental as it may sound, we’re all about helping our authors achieve their publishing dreams while working on projects we love. We manage our author’s careers and pride ourselves on our hands-on editing and hybrid career development for our clients. I represent YA and adult—readers, if you want your MG at BookEnds, contact Moe Ferrara. She’s hungry for MG. Within those age groups, I’m interested in sci-fi, fantasy, suspense/thrillers, and romantic suspense. I am a big proponent of diversity and representation in books, so I am always excited to see a strong ensemble of diverse characters. I’m also a sucker for found families. In sci-fi, I’m really hankering for an adventure set in space, and in fantasy I’m looking for contemporary stories. In fantasy I’m not currently interested in submissions that include vampires, werewolves, or angels/demons. Angels and demons are a hard sell for me personally, and it’s still difficult to sell vampires and werewolves to publishers. I am also not interested in historical or epic fantasy. For sci-fi: ark ships are a little overdone in my inbox so while I consider them, I am less likely to request any further materials based on a query. No post-apocalyptic stories in any genres. At BookEnds we sign authors to build their careers, not to publish the single novel they submitted to us. So when I call an author up to offer representation, I want to hear about their goals and what they’re working on next. I want to see if our visions are compatible when it comes to their book and career. If they want to write multiple genres, do I represent all of them or am I willing to branch out? Stuff like that. Beyond the purely professional concerns, I want a personality that works with mine and someone who is willing to adapt. As an agent, I don’t only represent my authors to publishers. I also advise them in their career development and decision-making. If a potential author seems unwilling to take my advice from the get-go, then we won’t be a good fit in the long run. As far as the books I like to sign—I obviously want to sign books that really just get me. They grab me, and I feel it in my gut. Ideally you get that book and it’s perfect for the market and an easy sell. Of course, that’s often not the case. So my philosophy is to find the balance between signing books that I love and signing books that will sell. Agenting is a business, after all, and the reality of the industry will not always match my personal tastes. I absolutely am! I will always give projects the revisions I feel they need before submitting, but I am also more than happy to provide a second set of eyes to my clients before they turn in their contracted work, or while they’re brainstorming their next idea. When getting a project ready for submission, I read through the manuscript, leave comments in the margins, and write up a revision letter for the author. This generally covers the broad strokes of what needs to be revised. I’ll of course correct any typos or grammatical/syntactical errors I see, but that’s not something I obsess about—that’s what copyeditors are for. The author and I will go back and forth as many times as we feel we need (speaking every step of the way) before the project is up to shape. Sometimes it takes one letter, sometimes it takes a few more. ANSWER: Our submission guideline are on our website. We only accept one-page queries in the body of the email for the querying process. No attachments, no synopsis or sample pages. In a query, all I absolutely need to know is the hook, premise, and brief summary of your book. A little chit-chat is fine—mentioning how you found out about me, for example. What I particularly love to see, though it is hard to pin down for many, is an exhibition of the author’s voice in their query. It’s hard to display your voice in such a small snapshot of your book, but I always think it’s impressive when an author pulls it off. Plus, if I get a sense of your voice, I get a better sense of whether I’ll be a good fit for the project. I really dislike it when authors include a long preamble in their queries. Queries are only supposed to be one page, so when you spend a full paragraph saying that you worked very hard to make your query unique and describing your philosophy of writing, you’re wasting space that should be used to describe your book. I’m also not a fan of queries that are written in the POV of the main character. I respond to queries between four and six weeks. For requested materials, I tend to hover between three and four months from receipt. I do sometimes fall behind because of vacations or holidays, but I tweet updates regularly so authors can see where I am in the submissions pile. I absolutely am! However, they almost always have to have a new project to pitch. I am not largely interested in self-published or otherwise previously-published titles. Most agents aren’t unless your numbers are really astronomical. So to authors wanting to make the switch, I say: make sure you have a new, finished, unpublished project to query. At BookEnds many of us have signed self-pubbed authors based on their new projects and have then gone on to work with their self-published works (either representing it for translation in other countries, getting audiobook deals, or sometimes getting the self-pubbed titles traditionally published), but there’s no guarantee of that. You have to look forward when querying. I think it depends on the agent and agency. Certainly the main goal of agenting has remained the same amongst all the changes: to publish books traditionally. Some agents stick to that and don’t do hybrid work while others, like the agents at BookEnds, have expanded their role to better encompass hybrid authors’ careers. Moving forward, I’m sure that will continue to be the case. Agencies and agents may choose to evolve, but agenting as a whole may not. With that done, you can email me at bcsubmissions@bookendsliterary.com with the word “query” in the subject line. I would always encourage aspiring authors to write what you love. When you’re submitting to agents and editors and getting rejections and revision letters, you’ll have to have a lot of love for your writing to persevere. You can’t write just to get published. When a year passes without that contract, people who are just writing to publish often stop writing. You have to write because you love writing—that’s what keeps you going. I would also say to never get stuck on one project. Sometimes authors will tell me that they’ve been shopping and submitting the same project for 10 years, and that’s almost always a sad thing to hear. You can’t grip onto one project forever. You have to always be writing something new, not holding onto what-ifs. You don’t grow if you don’t let go every once in a while. Thanks for sharing all your advice, Beth. Beth is generously offering a query critique to one lucky winner. To enter, all you need to do is be a follower (just click the follower button if you're not a follower) and leave a comment through February 20th. If you do not want to be included in the query critique giveaway, that's okay, but please let me know in the comments. If your e-mail is not on your Google Profile, you must leave it in the comments to enter the contest. If you mention this contest on Twitter, Facebook, or your blog, let me know this in the comments and I'll give you an extra entry. This is an international giveaway. Nice interview. It's always nice to have some insight into what agents like. Most agents and publishers aren't interested in something that's already been published. More writers need to realize that. Nice interview with Beth. I agree with her that we should not hold on to one project. The more we write, the more we learn and get better. Interesting interview indeed, thanks for sharing and best wishes! Great to see another agent interview. Thanks for sharing your advice, Beth, and best of luck in your agenting role. No need to enter me in the query contest, Natalie, since I already have an agent. Wonderful interview. I'm happy to see you're interested in self-published and indie published authors. Have a great day! Thanks for the informative interview. Ms. Campbell described my book. Now to finish it. This was such a good interview. I loved how thoroughly everything was covered. Unfortunately I don't write what Ms. Campbell is looking for, but her advice was so helpful for writers of any genre. Another great agent interview! Thank you! Interesting interview, thanks for all the info. Agenting sounds like a fun job. Thanks to Beth for sharing so much information. A happy day to you, Natalie. Unicorns are jerks? Good to know. She wants science fiction. Also good to know! Not interested in werewolves, vampires, or angels/demons either. So why do they keep sending me text messages? I'm so glad to see you're bringing the Agent Spotlights back. What a great feature! Another great Agent Spotlight. :) Thanks! Always great to read these agent interviews. Sounds as if she would be a good one for YA writers. Great article! Very helpful tips. Great interview, Natalie! Thanks for sharing Beth with us. Great interview! It's great to meet Beth and learn about the Bookends philosophy. Awesome interview! I love the philosophy, and it's great to know some agencies have that much faith in the authors they represent. Thanks for a very informative interview. Please don't put my name in the drawing, though. I have too much going on in my life right now and wouldn't be able to respond in a timely manner. What a great offers though. Great interview. I love this blog. Thanks for all you do! I'm happy to learn about your blog and to subscribe. Thank you for entering me in the giveaway contest at profrbailey@aol.com; however, I'll definitely check your blog after the contest is done. Have a great day! Just wanted to add that I tweeted this from @RebeccaBailey11. Thanks again! Bookends is an agency I really respect, it was great to read this interview and learn a little more about hem. It's great seeing agents who look at the big picture of an author's career. Wonderful interview. I can't seem to find the follow button, but this is a great interview and very insightful! Beth, It must be difficult finding the balance between books that you love and books that will sell. Another wonderful interview, Natalie! Fabulous interview! I always love to hear that agents accept author's who have self-published or gone with a small press for previous work. Great interview, lots of specific info from Beth. I'm writing MG, so pleased to have her recommend another agent in her agency. And I appreciate the advice to go on to other projects if the first one is not snatched up. I am planning to move into MG non-fiction, and hope to have a number of manuscripts a prospective agent can look at. Thanks for these excellent interviews. I would like to enter the query contest, but cannot find a "follow" button. Please enter me! Sheilakingauthor@gmail.com. Thanks! Really pleased to see that agent interviews will continue. They help so much when researching who to query. I am always inspired to continue writing when I hear (or read) that there are incredible agents out there that are interested in the whole author, not just their current project. Thank you for entering me in the Query contest. As someone in the midst of preparing to query, I found this really insightful!